The Puncture Seal dispensing system provides clean and safe liquid dispensing from bag-in-box (BIB) or other types of flexible packaging. 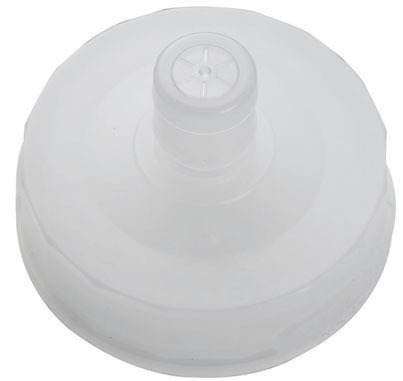 The system consists of a Puncture Seal closure cap and a specially designed quick disconnect coupling body. 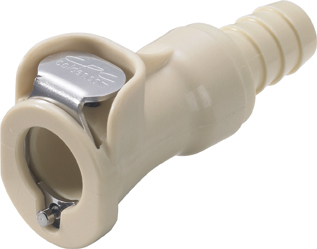 The closure makes a positive thread or snap-in seal with a 38mm fitment neck. 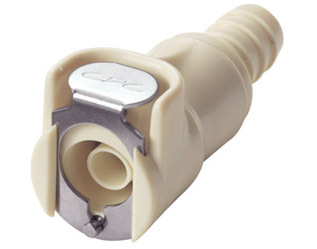 The Puncture Seal coupling body automatically breaks the membrane seal on the closure cap when connected. To switch to a new container, simply depress the CPC thumb latch to disconnect the system and then connect the Puncture Seal coupling body to a fresh container. 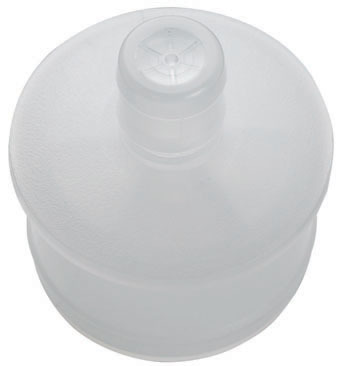 NOTE: Contact CPC for pressure and temperature ratings on closure cap.